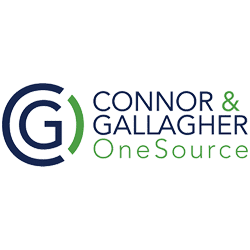 OneSource HR is an Administrative Services and Human Resource Outsourcing practice that delivers cost-effective solutions to businesses that employ 25 to 500-plus people. The services include Payroll, HR Consulting, a Multiple-Employer 401(k) Plan and Employee Benefits. The organization provides its clients with flexibility to elect services based on the needs of the organization – ultimately allows each customer to personalize a plan that streamlines HR administration and leads to better business results. OneSource HR was struggling with managing the organization’s customer data and document production through terminal services. With members working in the office, remotely from home and at client sites IT need to be a cornerstone of the business. Instead, team members were encountering a number of issues that were resulting in significant inefficiencies and high IT support costs. Data wasn’t accessible to users when it was needed and documents couldn’t be printed. As an HR Administrator OneSource HR provides mission critical operations for its clients and their solution wasn’t providing the needed level of reliability to allow the organization to be successful. When problems occurred there was no reliability or resilience which resulted in diminished customer support. In order to ensure that the solution would meet the needs of OneSource HR and allow for the organization to rapidly scale without significant costs SMBHD recommended a cloud-based solution based on Microsoft Office 365, SharePoint Online and a Hosted VoIP solution. Microsoft Office 365 provided the client with increased uptime and access to all of the organization’s documents from any device connected to the cloud. SharePoint Online provided the ability to immediately sync documents without needing to leverage terminal services. The solution provided easy access from any device connected via any network without using local or network storage. With the SharePoint solution the team had a secure system where client and employee documents could be stored and accessed efficiently and reliably. Hosted VoIP allows the OneSource HR team to communicate across the organization on an integrated telephony system and with clients without needing to be in the office. In order to minimalize organizational downtime and ensure that data was properly migrated SMBHD created an implementation and migration plan with OneSource HR to move from the legacy systems to the new solutions. SMBHD was able to configure and setup SharePoint Online and Office 365 for OneSource HR to support a more robust, secure system for document and client management. The OneSource HR team is now able to access data regardless of where they are working. This allowed the organization to decommission the organization’s legacy terminal resulting in a 75% annual cost savings. Furthermore, the organization’s overall response time to clients has increased significantly resulting in increase customer service and customer satisfaction.